"Gifts Armenia " network encourages any kind of partnership with international wire services as well as with the florists of Armenia and the CIS countries. We invite all florists to join our dramatically growing network and to bring their floral business online. 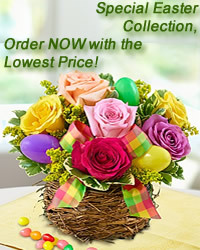 We would like to cooperate with flowers shops and floristic salons of Yerevan and other regions in Armenia. We give our partners-florists our flower catalogues with the help of which they will easily and simply take orders of a flowers delivery in their cities or they will execute orders of the clients of our company in your region. We are ready to offer you a partnership on the basis of a coorporative agreement. And it means the maximum efficient ways of payment for you, bonus presents and maximum assortment of offers. We would like to offer you wide range of solutions to our potential corporate customers and to provide significant discounts to those businesses and individuals who send flowers to Armenia quite often. Contact us and we will be happy to satisfy your business needs, to expand your own flower delivery service in Russia, to offer you flexible pricing policy and excellent customer service. If you have a Web site and your visitors may be interested in our services, please, use the possibility to join our partner program. You can earn 12% of commission fee, 30-day Cookie for return Visitors and Online-access to the web interface with the information on sales, rewards and clicks.